In keeping with our first hand practical and technical understanding of natural materials, a great deal of attention has been paid to aspects of building science, thermal performance, functionality and aesthetics when considering the methods of insulating our CORKCABINs. We have used a range of sympathetic, natural and sustainable insulation materials, that help to create comfortable, healthy, living and working spaces in an ecologically conscious manner. Argon gas filled, double-glazing with excellent thermal performance is used in the CORKCABIN doors and windows to form part of the thermal envelope. High performance, FSC approved and sustainably sourced Accoya wood provides a beautiful, durable solution for the door and window frames. A combination of natural wood fibre and cork board insulation has been used internally and externally to produce excellent levels of thermal and acoustic comfort. 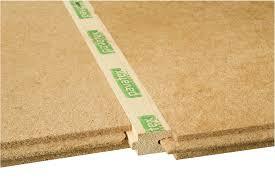 PAVATEX Wood Fibre boards have been used to provide sustained thermal comfort. Their thermal storage capacity regulates ambient temperatures and inhibits thermal spikes and troughs. SecilVIT Cork MD Façade boards have been fitted to contribute towards thermal acoustic insulation, whilst creating a beautiful aesthetic, with a range of unique designs available. The wood fibre and cork board natural fibre insulation used in CORKCABINs are completely natural, reusable and recyclable. Furthermore, due to the volume of carbon sequestered during their growth, these insulation systems are carbon negative, even after considering the carbon costs of their manufacture and transportation. Wood fibre utilises the waste and off cuts of the timber industry to formulate rigid and flexible insulation. Cork, on the other, hand is harvested as a raw material from European sustainably managed cork oak forests. The cork is harvested without felling or damaging the cork oak trees. After harvesting the cork bark, the cork oak trees capture up to 5 times more carbon during the regrowth of their bark. 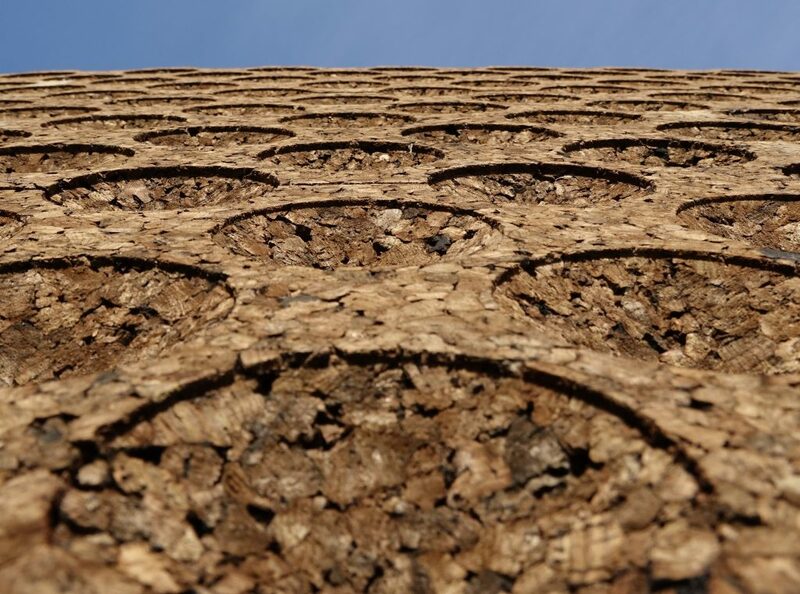 All the cork that is harvested is put to use, either producing materials or by feeding back saw dust and waste to cover 60% of the heating and manufacturing energy as a biomass fuel. The on-going sustainable management of the Western Mediterranean basin and cork forests play an important environmental, ecological and social role – forming part of the 35 most important ecosystems in the world for preserving biodiversity (Amorim, 2015). Cork forests capture carbon during their growth and are therefore an important natural carbon sink. They also regulate the hydrological cycle and protect against erosion and fire. Cork forests are an important biological, economic and social resource. Conventional, synthetic insulation is commonly understood to offer ‘good thermal performance’ and its use has been widespread. So, why use natural fibre insulation? Notwithstanding the ecological importance of using natural fibre materials, they also enable a number of performance benefits not matched by synthetic alternatives. The low lambda value of synthetic insulation, which industry has historically placed such high value on, enables a heated space to warm up quickly without experiencing heat loss through the building fabric. However, this function is also responsible for summer overheating, where synthetic materials don’t have the thermal mass to protect against solar radiation and can lead to uncomfortably high daytime temperatures. This also means that, during winter periods, the internal temperatures of structures insulated with synthetic materials spike and fall in direct relation to the use of heating. The thermal mass of natural fibre insulation on the other hand stores and releases heat over a period of time protecting against summer overheating and rapid winter cooling; facilitating much more sustained thermal comfort, year round. Increasing awareness grows for the toxic gases emitted by synthetic insulation both over its life span and more specifically during the event of fire. Wood and cork burn slowly as a layer of charcoal forms on the surface insulating against total combustion therefore providing good fire resistance for structures. During this process, no toxic emissions are produced; this is not the case for synthetic insulation materials. Not only are natural fibre materials free from emitting volatile organic compounds but also the permeable and hydroscopic nature of these materials actively contributes to high levels of internal air quality. The coming together of aesthetics, thermal & acoustic comfort, minimising electrostatic build-up, air quality, fire resistance and lighting design are imperative for maximising productivity and functional use of space all of which have been considered in the production of CORKCABINs to enable a diverse range of uses. Stunning, sustainable spaces from recycled shipping containers. We've designed and constructed CORKCABINs for every occasion.